Sugar Maple Interactive has designed four unique annual report templates, helping you take the time and stress out of preparing and sending out your annual report each year. Annual reports, if designed and presented well, are a great way to present your company's previous year's milestones and highlight your organization’s culture. They can also be overwhelming and time-consuming to design and develop. We want to make this process easier for you. 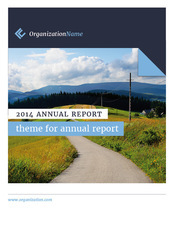 We have designed four unique annual report templates. You simply choose the template that you think will work best for your organization and compile your content. We will work with you, at an hourly charge of $75, to edit and load your content into the template of your choice and can have them professionally printed - providing you with a customized annual report that’s ready to send out. We designed our templates to have easily digestible data, sharp and engaging images, readable graphs and timelines of events that communicate your company's information in a way that inspires your supporters and moves them to action. This template includes areas for a Statement from Founder, About the Organization, Our Milestones, Our Vision, Financial Statements, Auditor's Report and then several sections for content of your choice. This template includes an area to introduce your team and several areas to elaborate on and reinforce your company's message. This template includes several areas to showcase your company's growth with several charts, percentage graphics and numbers. - Some of the pages in the templates may not apply to you, that's ok. You do not have to use all of the pages you see in the samples. 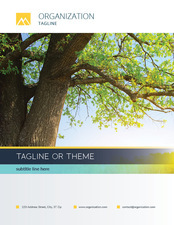 - We can take layouts from different templates and incorporate them into another template for you. No problem. - Pricing is based on the time it takes us to edit and load your content into our templates and for all printing services. 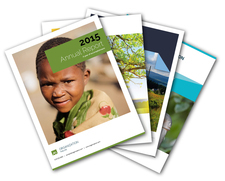 Remember, annual reports are a great way to reinforce your company's message. They can elicit an emotional response that will move your supporters to action. Be selective and choose data and content that makes an impact. Let us help you present your company well. Contact us today to get started.